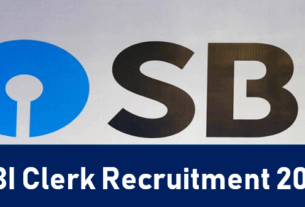 SBI Clerk Cutoff 2019: State Bank of India has been released the notification for the Post of Clerk, the online application form has been available from 12th April to 5th May 2019, Candidates can fill the application form in the online mode only. the authority has been released the cutoff for SBI Clerk 2019 for Mains examination. Check Sectional and over all cutoff below. SBI Clerk 2019 official notification has been released, Click Here to Check official notification. The authority will released the SBI Clerk 2019 Admit Card for both Prelims and Mains examination, the admit card for prelims examination will be released on June 2019, and for the Mains examination will be released on August 2019, both Prelims and Mains admit card will be released on the online mode, candidates can check and download the Admit card from the official website of SBI.